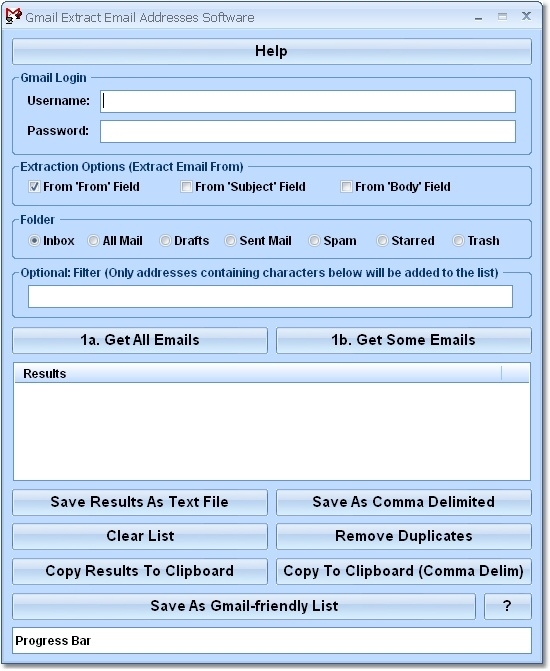 This software offers a solution to users who want to extract email addresses from their Gmail account. There is a feature to choose which folder to extract from (Inbox All Mails Drafts Sent Mail Spam Starred or Trash). There is also a feature to select which part of the email to extract from: From Subject or Body. There is even a filter option to extract only emails that contains certain characters (such as support or slate.com). 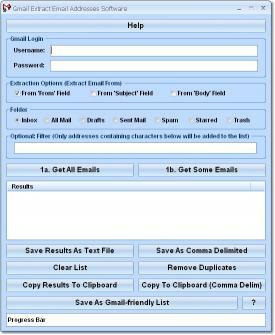 The extracted email addresses can be saved as a text file of copied to the clipboard.